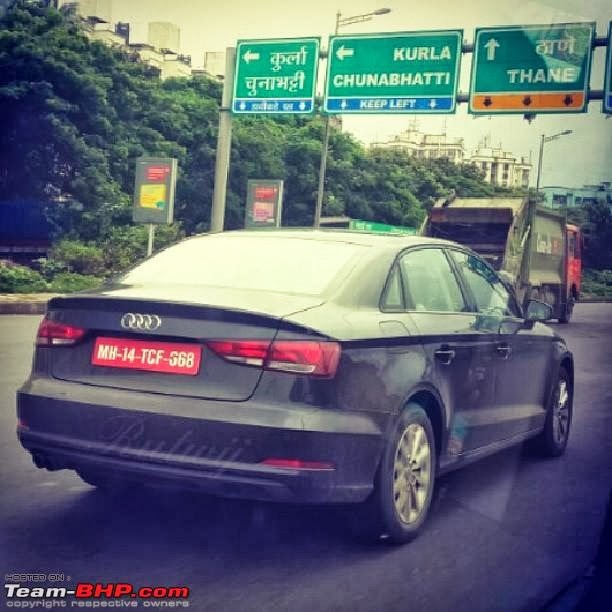 Audi's next weapon for India - the entry level sedan, A3 is spied testing in India a couple of times now and should be ready for launch soon. Audi India’s previous CEO Michael Perschke confirmed that the A3 sedan would have a launch price of under 25 lakh rupees. Audi's A3 sedan would be the first sedan to enter into this segment and will get the first mover advantage. Currently, the car is available only in 2.0L TDI engine however it is said that the car would soon be available with 1.6L TDI engine too which currently does the duty in its younger siblings - Rapid and Vento. More details and a glimpse of the car via Video could be seen here.